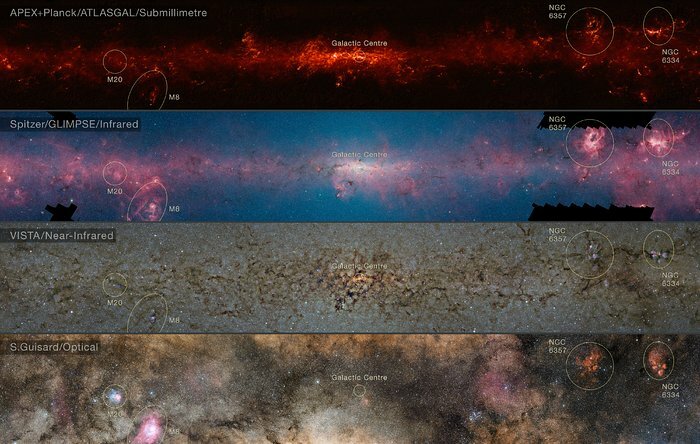 This comparison shows the central regions of the Milky Way observed at different wavelengths. The top panel shows compact sources of submillimetre radiation detected by APEX as part of the ATLASGAL survey, combined with complementary data from ESA’s Planck satellite, to capture more extended features. The second panel shows the same region as seen in shorter, infrared, wavelengths by the NASA Spitzer Space Telescope. 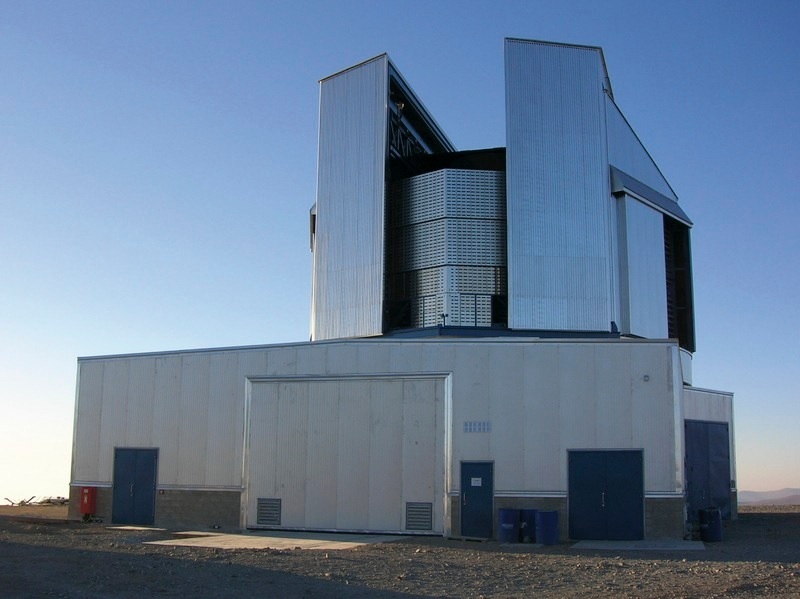 The third panel shows the same part of sky again at even shorter wavelengths, the near-infrared, as seen by ESO’s VISTA infrared survey telescope at the Paranal Observatory in Chile. Regions appearing as dark dust tendrils here show up brightly in the ATLASGAL view. Finally the bottom picture shows the more familiar view in visible light, where most of the more distant structures are hidden from view. The significance of the colours varies from image to image and they cannot be directly compared.